Factory workers in China tasked with building Amazon’s popular Echo speakers and Kindle e-readers are exposed to horrendous work environments and conditions that often are in violation of Chinese law, a recent report from a watchdog group found. China Labor Watch spent nine months investigating the working conditions of a Foxconn-owned factory that manufactures Amazon products in the city of Hengyang, China. It found workers were forced to work an absurd amount of overtime, given inadequate training, and exposed to below-standard safety precautions that put them in harm’s way. According to the report, workers tasked with putting together Amazon Echo devices and Kindle tablets were required to work more than 100 hours of monthly overtime during peak season—nearly three times the 36 hours per month limit stated in Chinese labor law. In addition to extra overtime, workers were also required to show up to their stations 10 minutes before their shift starts without compensation. Many workers were also required to work 14 days straight without a day off—all for a wage of about $2.26 per hour. The situation is often even worse for “dispatch workers,” or temporary staff who are brought into the factory when more hands are needed. The type of labor remains popular in China because the dispatch company—not the factory—is considered to be obligated to the worker, so factory operators can skirt the rules and abuse labor laws. The report alleged the Foxconn factory often exceeded the number of dispatch workers allowed, and those workers were asked to work ridiculous hours for less pay. Dispatch workers didn’t receive higher wages for overtime hours and were offered only unpaid sick leave, and were required to cover their own fees for a physical examination when starting work at the factory. The factory often forwent the 24-hour pre-job training requirement for workers, offering just eight hours of experience and safety training before placing workers on the assembly line. The safety situation was even worse in the dormitories where workers lived. The dorms had no emergency exits and did not have fire extinguishers or other basic safety precautions. Amazon has the ability to not only ensure its supplier factories respects the rights of workers but also that there is equal pay for equal work. Amazon’s profits have come at the expense of workers who labor in appalling working conditions and have no choice but to work excessive overtime hours to sustain a livelihood. 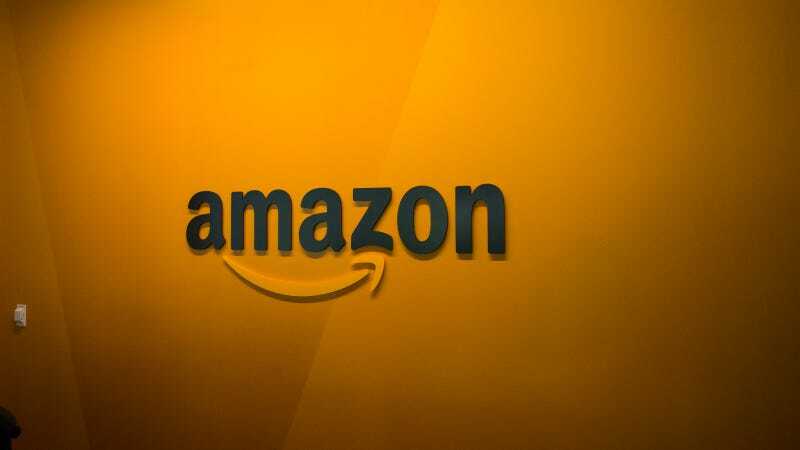 Amazon told Gizmodo it completed its own audit of the Foxconn factory manufacturing its products back in March and found “two issues of concern” that required addressing. Amazon has come under fire in recent months over its labor practices in the US as well. A recent report found that the company’s warehouses are considered to be one of the most dangerous workplaces in America, and its warehouse workers often live off food stamps. You’d think a company headed by the richest man in the world would be able to do a little better for the workers that it relies on to operate.